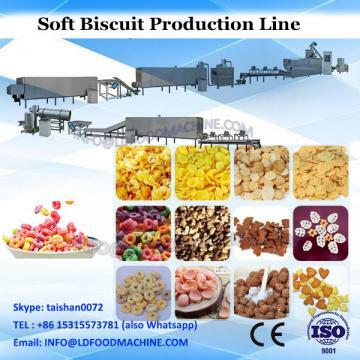 Yu Ji brand soda biscuit production line development on the basis of foreign advanced technology, in the manufacture and decades of development, and now all the machines are in our rich actual production experience improved. And according to customer feedback design at home and abroad. Low cost, low energy consumption, small size, high profit and easy maintenance are the best features. It is composed of horizontal mixing machine, turning machine, automatic cutting machine, three roller machine, laminating machine, two roll machine, rotary cutting machine (biscuit), rotary molding machine (soft cookies), spray egg, sugar / salt sprinkler, into the furnace, furnace, tunnel furnace (belt tension machine gas or electricity), from the furnace, oil mist 180degree planar Turing machine, cooling conveyor, stacking machine and other auxiliary equipment of different speed. For the machines installing and commissioning, we can offer customer the commissioning recipe for freely, we will dispatch our engineers to customer's factory to helping you. and trainning your stuff for the whole product line operate and daily maintenance. Xinxiang City Yuji Food Machinery Co., Ltd. is a professional production of food machinery and food mold of professional enterprises. Set research and development, manufacturing as one. Products with independent intellectual property rights. The production of food machinery is highly automated, easy to operate, less staff and cost savings. Production of food molds with copper molds, alloy molds, especially engineering plastics molds with our patented technology, with molds, clear patterns, gloss, corrosion resistance and so on. Company is located in Xinxiang City, Henan Province, small town of Youth Road No. 73. North Pacific (Taiyuan) railway, the new day (Rizhao) Railway 107 State Road together, and convenient transportation. Hotel is located in the city center, the company from the mold began, relying on technology and scale operating income, to modern management to promote enterprise development. 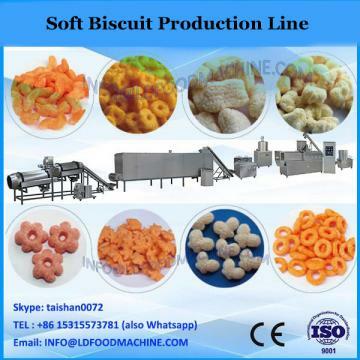 In 2000, the company also invests in the construction of modern food industry park: Xinxiang Liyuan Food Co., Ltd.: one of the 2010 food experiment base, set biscuits, wheat baked, snow and other Fully automatic soda biscuit production line baked crisp rice cracker machine full crispy bakerys, investment in new food machinery factory.